Wotan Wilke Mohring at the 40th International Emmy awards in New York. Moritz Bleibtreu and Wotan Wilke Mohring at the "Adam Resurrected" private dinner during the 59th Berlin Film Festival. Anna Maria Muehe and Wotan Wilke Mohring at the 99 Fire Films Award 2011 during the 61st Berlin International Film Festival. 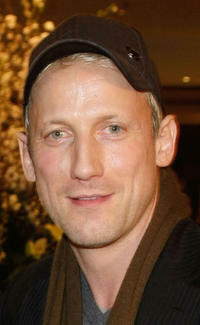 Wotan Wilke Mohring at the "Adam Resurrected" private dinner during the 59th Berlin Film Festival. Wotan Wilke Mohring, Soenke Moehring and Juergen Vogel at the Deutsche Telekom - Final World Cup 2006 party in Germany. Christiane Paul and Wotan Wilke Mohring at the photocall of German TV series "Die Hexen von Prenzlauer Berg" in Germany. Soenke Moehring and Wotan Wilke Mohring at the Hugo by Hugo Boss Autumn/Winter 2012 Fashion Show during the Mercedes-Benz Fashion Week in Germany. Wotan Wilke Mohring and Peter Thorwarth at the Germany premiere of "Wo ist Fred?." Wotan Wilke Mohring and August Diehl at the Germany premiere of "Nichts als Gespenster." 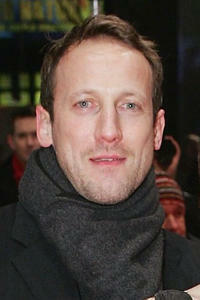 Wotan Wilke Mohring at the premiere of "The Elementary Particles" during the Berlin's International Film Festival.